Lock in a great price for B&B Zaldu - rated 9 by recent guests. Owner, Pablo was very helpful and friendly and took time to talk to you, giving advice about where to eat. Also did pick up and drop off to camino path. The proprietor gave us a great welcome and he gave us very useful information about our onward journey. Great rooms, great Breakfast and very nice owner, we have enyou our stay and can only recoment this B&B. The owner has give us a lot of tips about the town ant the camino. And he offer a pick up service. Really great attention has been paid by the owner to every detail. Everything is very well made, with quality materials. Comfy bed & room was sizeable and clean. Balcony was an added bonus. Shame we had to share a bathroom though. The breakfast was great. And the owners also were great people. I loved it because it didnt feel like you were at a hotel but it felt like you were at home. Very familiar. Everything; the location and facilities were great but most of all the owner and his team delivered outstanding customer service...one of my best stays ever on s Camino! Pablo was just the perfect host Went above and beyond for us. Each room at Zaldu comes with a TV; and with private or shared bathroom facilities. Bed linen and towels are provided. A breakfast is served every morning at the guest house's dining room; and other on-site facilities include a shared lounge. 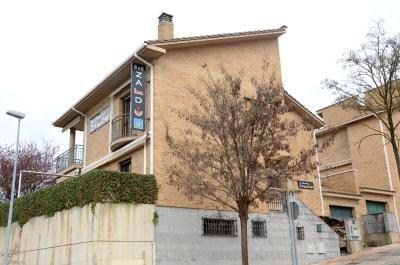 The guest house is a 15 minutes' walk from Estella City Center; and the closest airport is Pamplona Airport, 24.9 miles away. 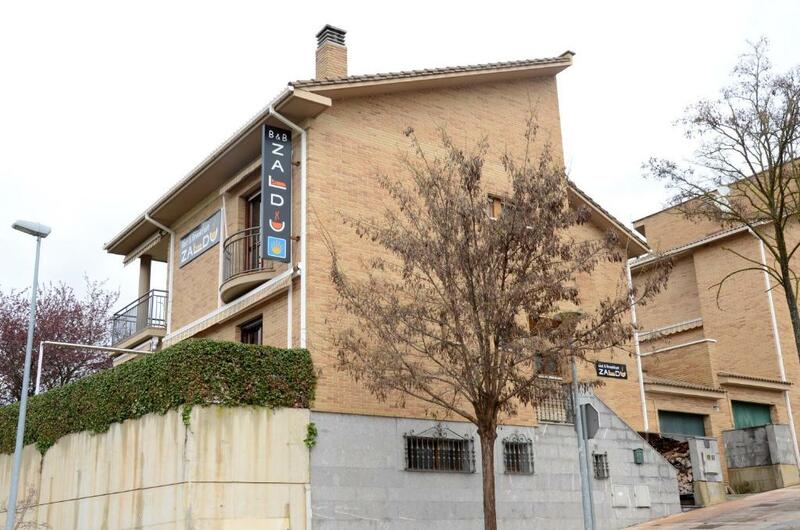 The property offers an exclusive transfer service for pilgrims to Santo Sepulcro Church. B&B Zaldu has been welcoming Booking.com guests since 3 Sept 2014. When would you like to stay at B&B Zaldu? This room has 2 single beds and an en suite sink. Guests have access to shared bathroom facilities. This room has 1 double bed. It also has access to shared bathroom facilities. 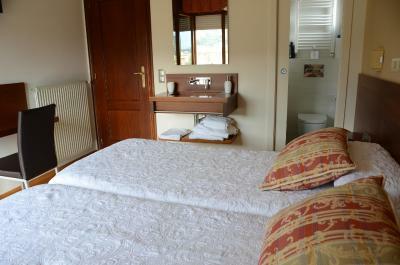 This room offers 1 double bed and a private bathroom with a hairdryer. There is a flat-screen TV, and a terrace with garden views. Bed linen and towels are provided. House rules B&B Zaldu takes special requests - add in the next step! B&amp;B Zaldu accepts these cards and reserves the right to temporarily hold an amount prior to arrival. B&B Zaldu accepts these cards and reserves the right to temporarily hold an amount prior to arrival. Please, contact the property to get information on the exclusive transfer service for pilgrims to Santo Sepulcro Church. Beautiful home with great b&b rooms. Owner Pablo is great. Wonderful breakfast. Comfortable room and facilities. Lovely host. Excellent B&B with great hosts. Restaurant, bar and shops within easy walking distance. Very nice, clean and well appointed rooms. Quality breakfast! Hosts go above and beyond to take care of their guests. A little distance of a walk to catch up to The Camino but manageable or the host offers to pick you up and drop you back on route. I highly recommend. The ac in the room was a tad noisy, as well as the road outside, so we couldn't open windows at night, and it was an unexpected moment of discomfort.